Has the economic world ended? The American Icon has moved to India. This is a dark day for the Harley Guys. Will they have to fly the Indian flag along with the American flag when they come to Sturgis this year? Instead of the low wave Harley guys are going to Namaste each other. Not a bad return for $200 million a day. I bet you will be able to buy some cheap Harleys soon. I am turning mine in for a Rice Rocket. Workers at Harley-Davidson Inc.’s Kansas City plant figured it was coming. But when the company told the work force last week that “competitive gaps” at the factory would need to be addressed in order to keep it open, it still was a jolt, the plant’s union leader said. Earlier, Harley used the same negotiating tactic at plants in York, Pa., and Wisconsin, saying that work would move elsewhere unless the plants became more competitive. In both cases, the union workers agreed to cost-cutting changes that will take effect in 2012. The recession and the slow recovery have created a bumpy ride for Harley, the motorcycle maker that in the past was held up as the model for how an American manufacturer can succeed with a unionized work force. 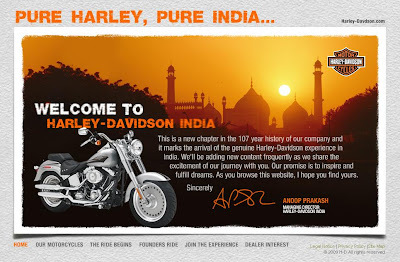 Profits fell sharply in 2008, and Harley posted a rare annual loss in 2009. Keith Wandell became Harley’s CEO in the spring of 2009. A few months later, the negotiations in York began, resulting in a contract that reduced the work force by more than one-half. About 325 jobs were also eliminated as result of workers approving a new contract at Wisconsin plants in Menomonee Falls and Tomahawk. The union also agreed to eliminate full-time jobs and allow the company to use more part-time or casual workers.